The Paihia Ex Services Club has opened up its parking area to be used overnight as a Park Over Property (POP) for the convenience of motorhome & campervan owners who are members of the NZ Motor Caravan Association and Charter Club Members. The Club opens at 3pm every day, just come in and see our friendly bar person. You will be able to stay a maximum of 2 nights, and we only have 5 spaces available. These go on a first come first served basis. There are no services available, it is parking only. 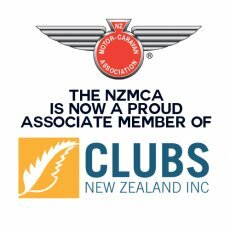 The Paihia Ex Services Club will not take any responsibility for any damage to your vehicle or theft of personal items during your stay in the club car park. It is a prerequisite of the Paihia Ex Services Club that all vehicles are fully self contained. • please come in and introduce yourselves to the Management or bar person at the time.